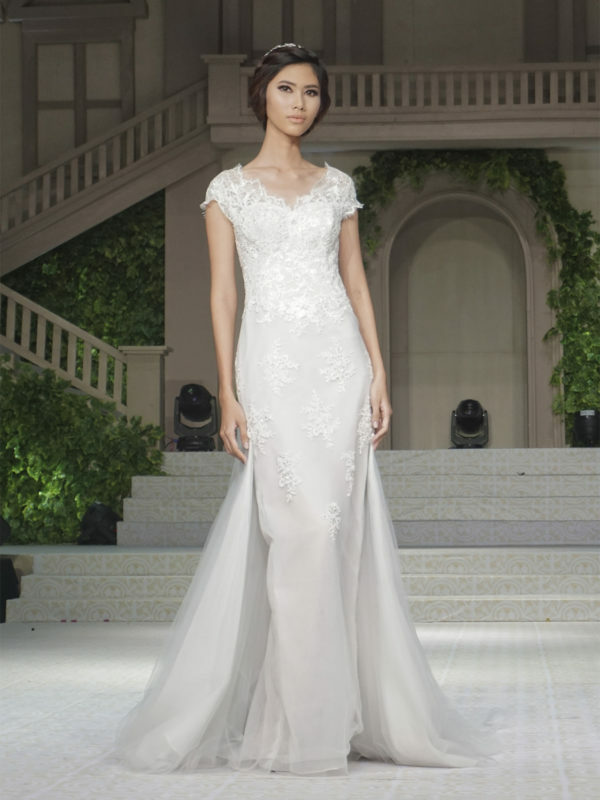 Luxurious pearl encrusted mermaid gown for the fashion-forward bride. 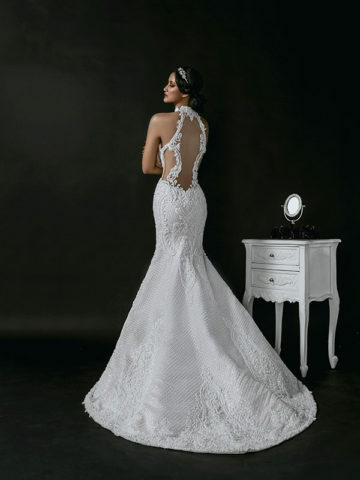 Sumptuous 3D embroidery on a daring plunge bodice, which can be covered for more modesty at the ceremony. Two looks in one gown! Crystals, lace and tulle. That’s what sumptuous bridal ballgowns are made of. Luxurious laser cut applique from Europe make this gown luxe without beading. 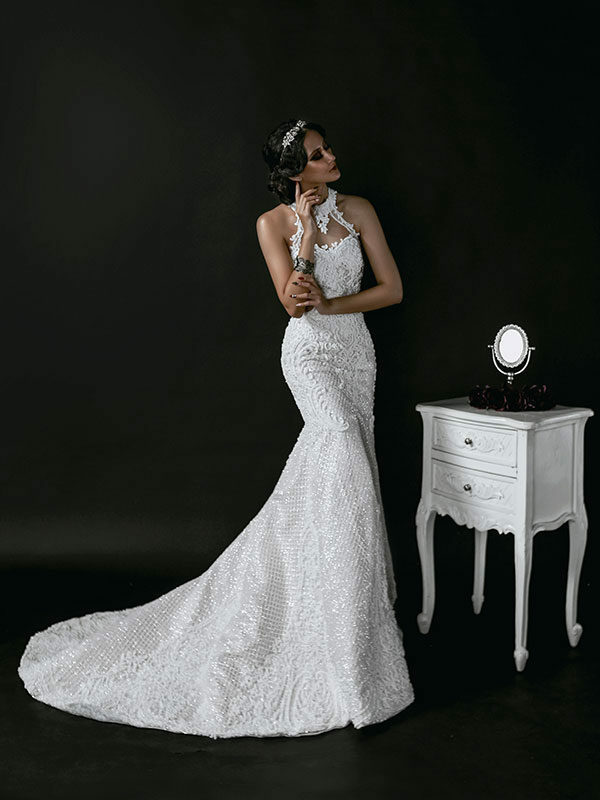 So much detail with handbeaded baroque motifs on a lush layered mermaid gown of chantilly lace and tulle. Our signature intricate embellished style manifests in lines and beaded baroque applique in this tulle mermaid gown. 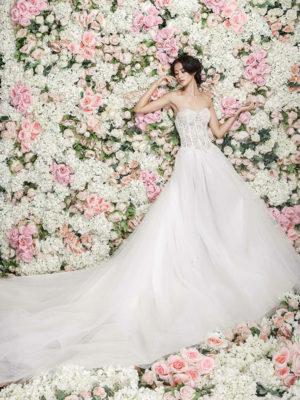 Soft flowy mermaid gowns for relaxed elegant ceremonies and receptions. 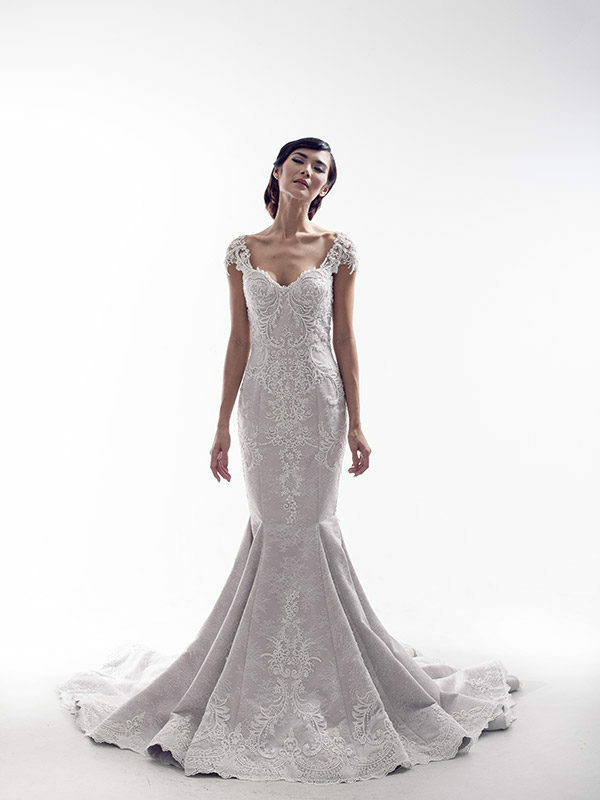 Perfect for the laid-back bride. 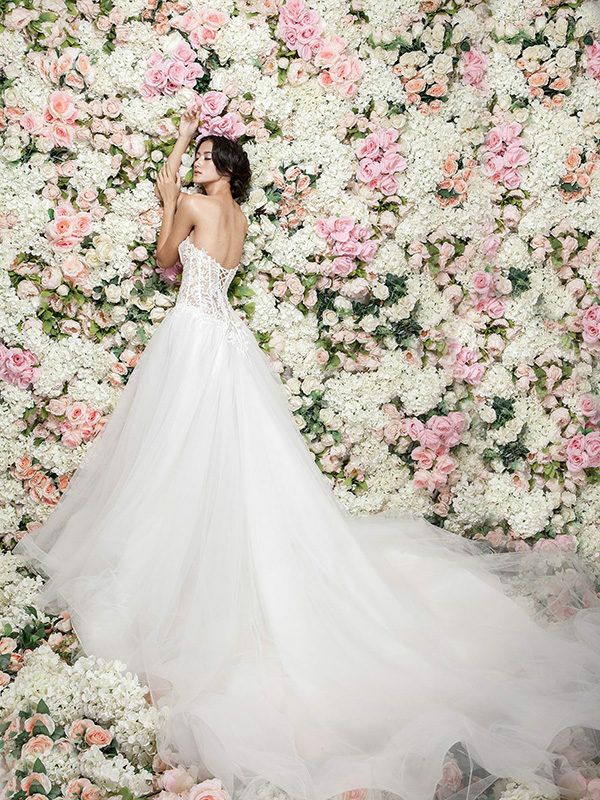 Graceful flowy gowns for minimalist brides. Perfect for a garden wedding. 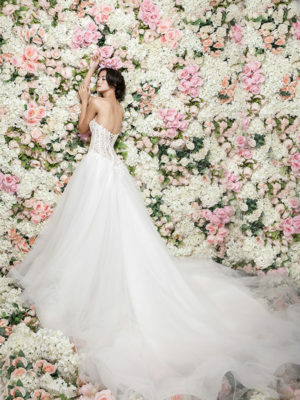 Voluminous ballgowns are oh so dreamy for a princess wedding. 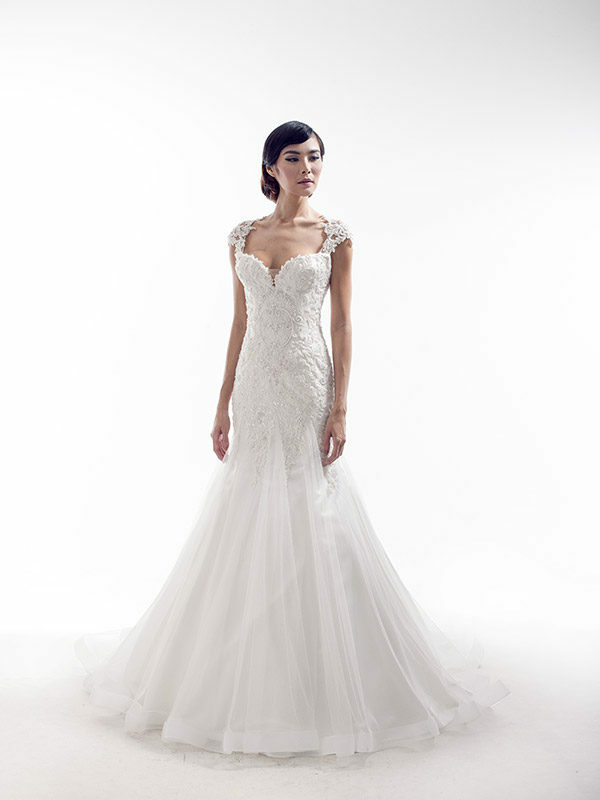 Fit and flare bridal gown with tulle godet skirt and beaded lace bodice and illusion sleeves. Two-tone duchess and chantilly lace mermaid bridal gown with beaded bodice and lace applique. 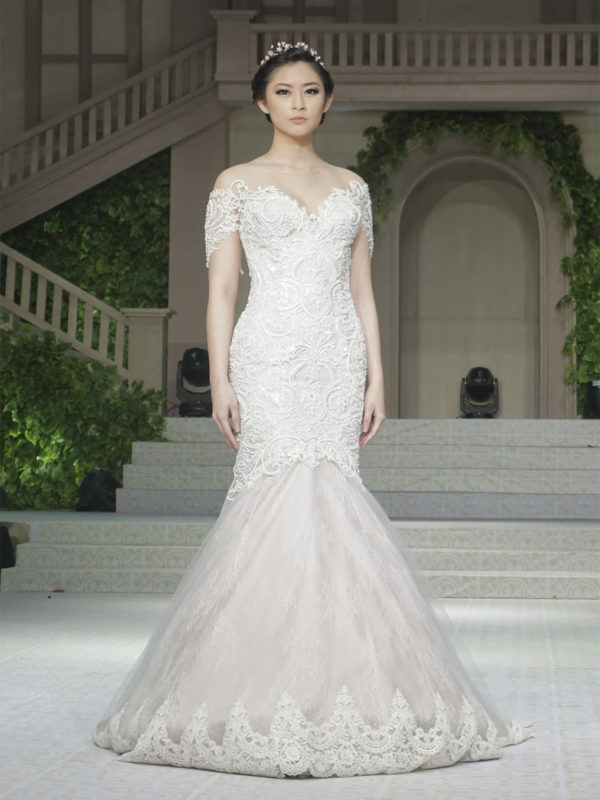 V-neck tulle and lace bridal gown with bead-embroidery and tulle mermaid train. 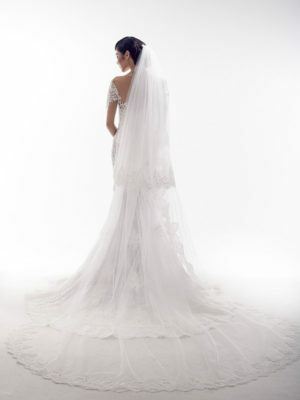 A-line bridal gown with beaded-lace bodice and diaphanous chiffon skirt over a lining of ivory lace. 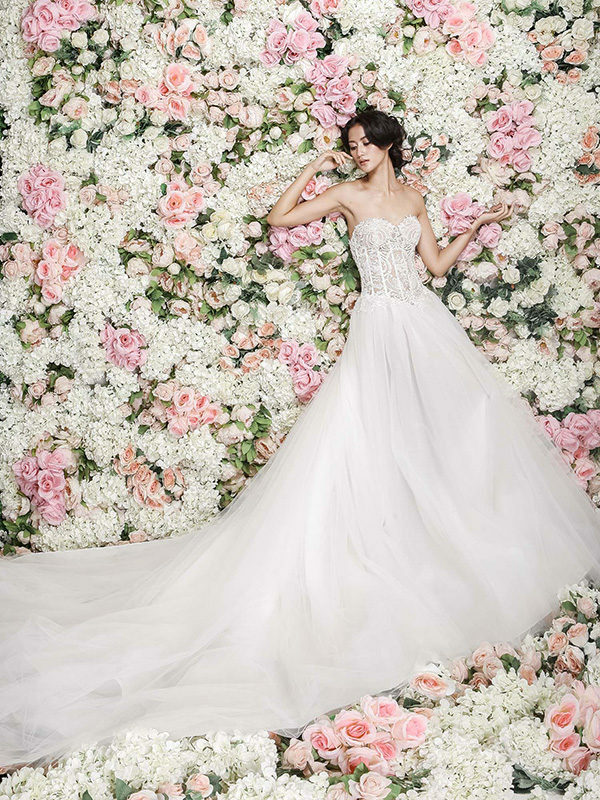 Volumious A-line bridal gown with cascading flounces on the skirt, and fitted bodice decorated with pearl beaded embroidery. 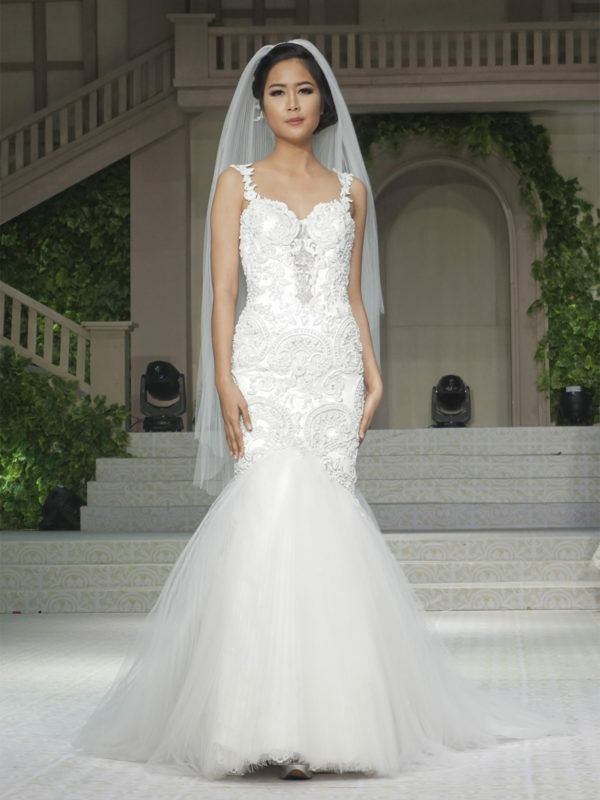 Two-tone mermaid bridal gown with ornate bead embroidery cascading from the fitted bodice to the sheer illusion skirt. 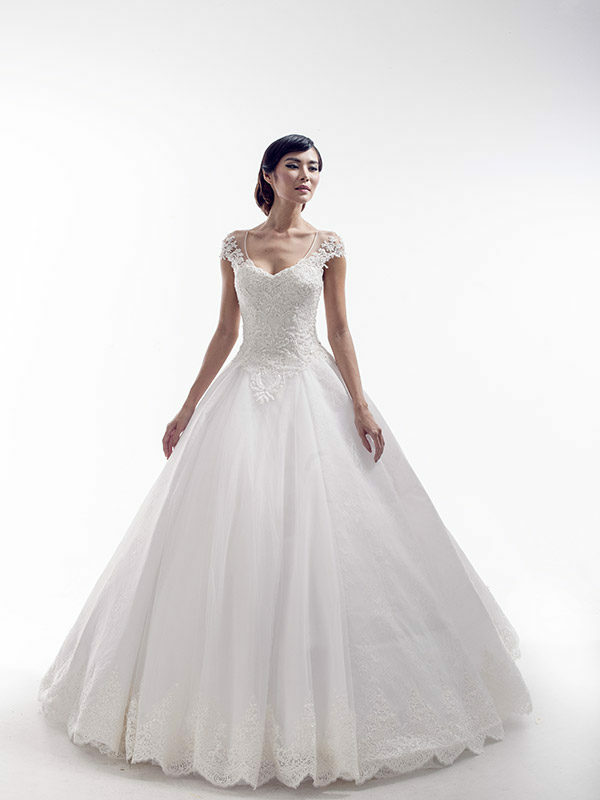 Bridal ballgown with beaded lace bodice, illusion capsleeves and lace trimmed skirt. Two-tone mermaid bridal gown with ¾ illusion sleeves, and embellished with symmetric hand-beaded lace motifs.